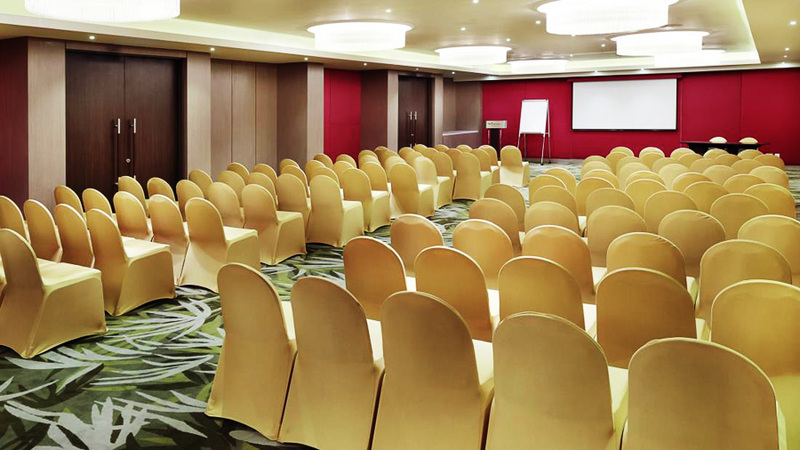 Avangio Hotel is a complete package for both business and pleasure travelers. 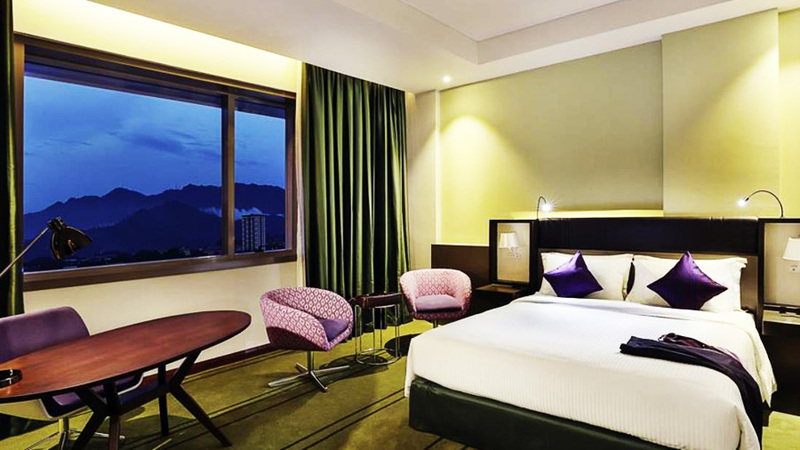 With the comfort and convinience of the city location, Avangio Hotel is the best choice for your stay here in kota Kinabalu. 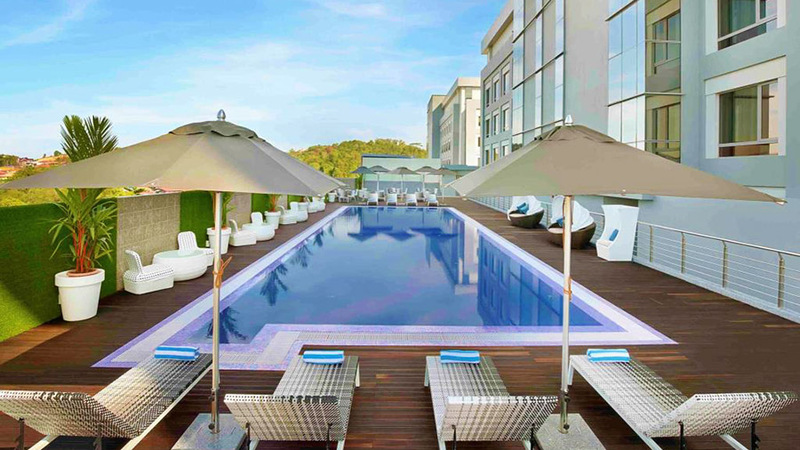 Enjoy the amazing aerial view and the refreshing hotel outdoor pool. 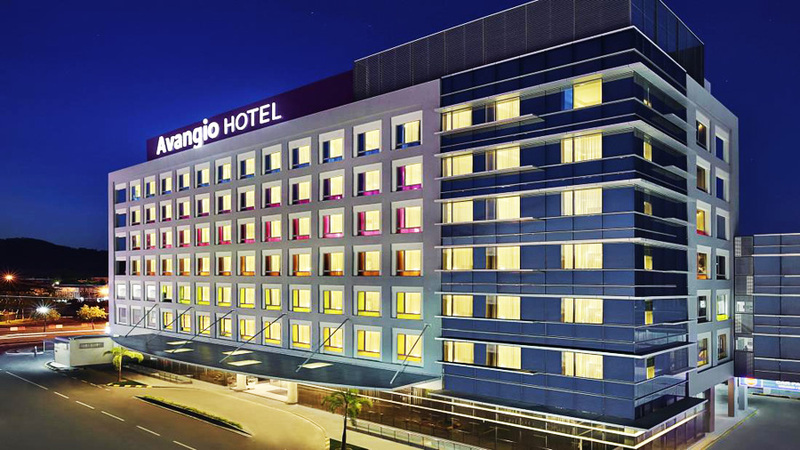 Avangio Hotel is located only 20 minutes-drive from the Kota Kinabalu International airport. 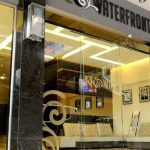 The hotel also include free wi-fi in public areas, laundry and dry cleaning services. 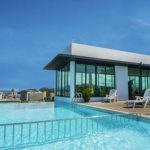 It is the amalgamation of superior hospitality and a host of amenities for the guests that make Avangio Hotel an excellent choice for vacationers to Kota Kinabalu. Strategically situated in the Central Business District of the city, its location makes moving in and around the city extremely easy. Only a few minutes-drive and one can reach the airport as well as all the tourist attractions that KK has to offer. 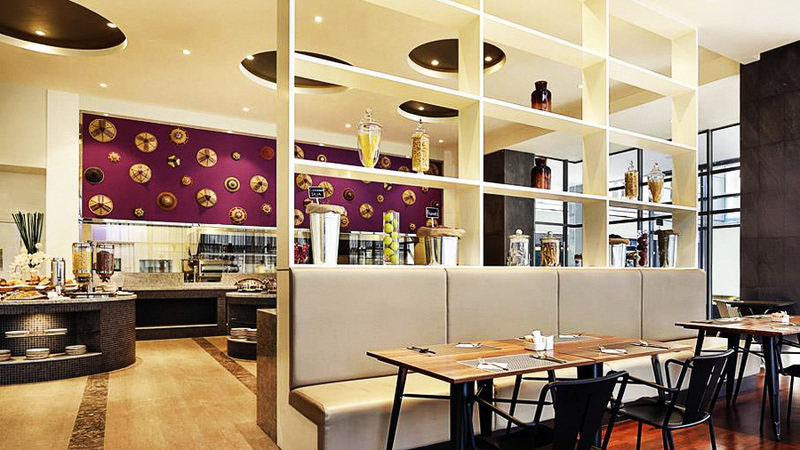 Managed by Accor, Avangio Hotel is a great landing place for business travelers too. A compilation of 103 tastefully delineated spacious rooms equipped with all modern-day amenities, Avangio Hotel is well known for its warm hospitality and excellent services. The rooms have been classified into four categories- Superior Room with 1 double bed, Superior Room with 2 Single beds, Deluxe Room with 1 double bed and Deluxe room with 2 single beds. All the rooms are non-smoking ones with all the necessary amenities included. 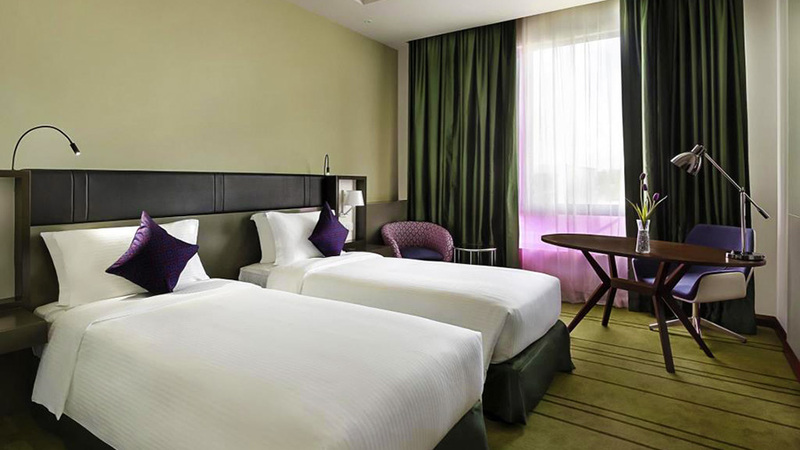 The room rents vary between USD 50 to USD 60 per night depending upon the type of room chosen. All the rooms can easily accommodate 2 adults while extra beds for children can be provided upon request. The rooms come bundled with motley of amenities such as safety deposit box, air conditioner, television with satellite connection, daily newspapers and soundproofing. Also there is free wi-fi that can be used by the guests. Rooms also contain a minibar and coffee maker so that guests do not have to go out every time they feel the need of a beverage. The attached bathrooms are nicely maintained and have toilet, shower with continuous water supply, hair dryer and essential toiletries. The hotel has requisite facilities for the physically disabled too such as lift and wheelchair accessibility. The room service works round the clock for comfort of guests. Shop for some delightful memoirs during your vacation in KK from the onsite Souvenir shop. There are numerous recreation avenues that the guests can make use of such the outdoor swimming pool, separate kids swimming pool, fitness center and spa. The hotel features a poolside bar where guests can spend some relaxing moments. 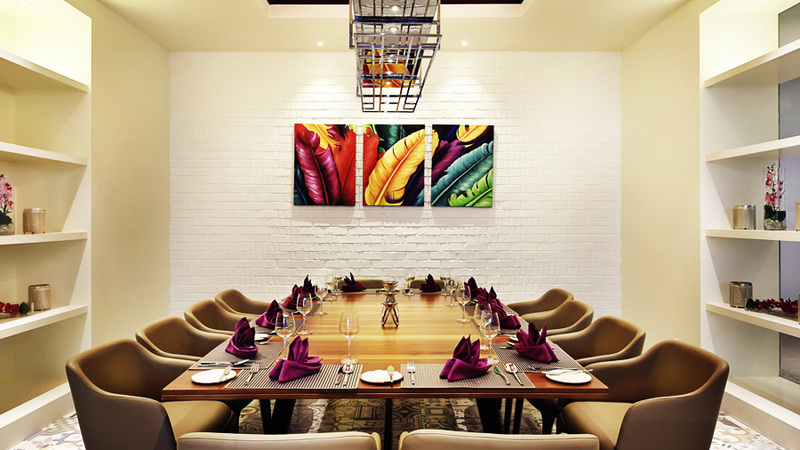 The onsite restaurant is known for serving delectable food. Also there is a currency exchange counter and facility of concierge. The front desk operates round the clock to ensure complete complacence for the guests. The friendly staff members are capable of speaking in English, Chinese and Malay.